They are known as bi-articular muscles because they cross two joints – the hip and knee, and this gives you a phenomenon known as Lombard’s paradox. Lombard’s paradox: High knee position during sprinting, Hip extends under pull of hamstrings and Knee extends by pull of Quadriceps. 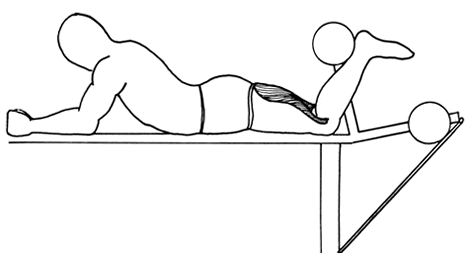 This is paradoxical since hamstrings shorten in proximal and lengthen distally. This produces tremendous straining forces within hamstrings that have to be resisted or the muscles will tear. Hamstrings lengthen considerably during sprinting (110% of their resting length in Biceps femoris) and have to cope with considerable forces (again Force the greatest in Biceps Femoris) towards the end of swing phase. Most of the force is generated by Muscle itself but 1/3 from elastic recoil of tendon. Biceps femoris is more prone to injury and worse prognosis. 90% of injury improves in first 6 weeks, but it takes about 6 months to heal 100%. Significant risk of re-injury if poorly rehab or return to sport early.